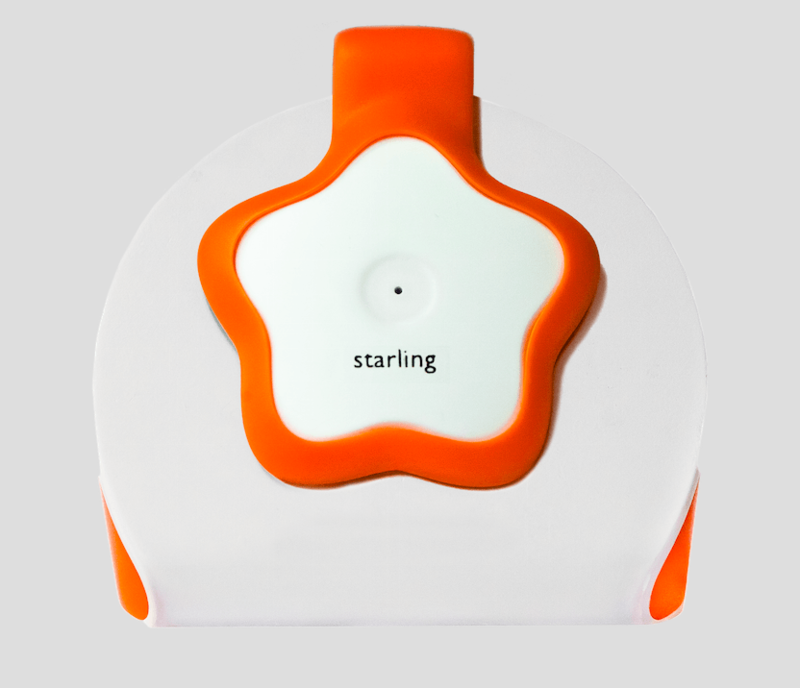 Versame Starling is an American company that manufactures and sells the Versame Starling Tracking Device for infants. The technology has helped the development of small kids and been useful for parents and the baby talk they have with their children that will help later on. With Big Apple Buddy’s personal shopping service, you can now buy direct from the Versame Starling online store anytime, anywhere. 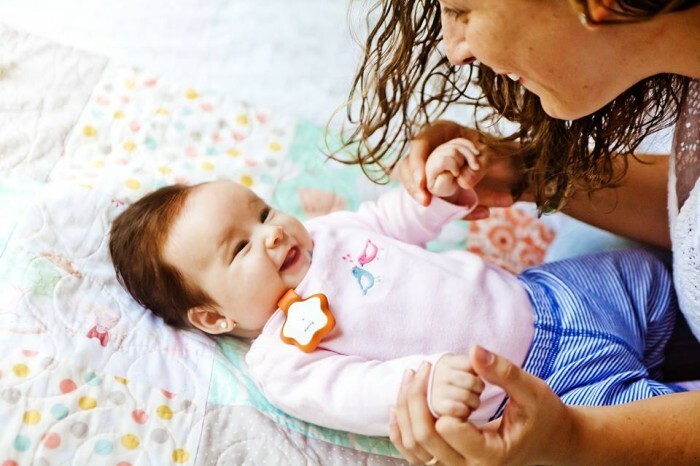 The Versame Starling Tracking Device is a wearable word counter that has brought awareness to parents about the importance of baby talk in the development of their kids and the effects that it has later on in life. You'll be able to keep track of how much you're engaging with your baby and know if you're doing enough. The more you talk to your baby, the more they will grasp words and have a good foundation. 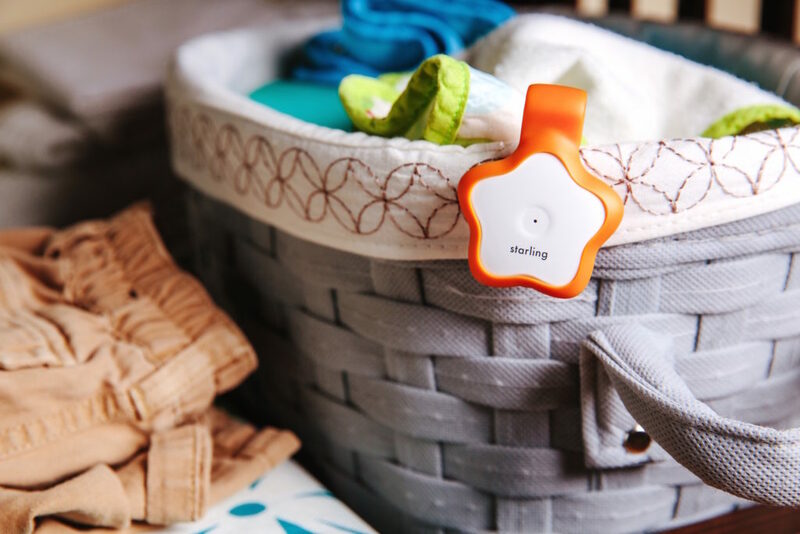 It's easy to attach the Versame Starling Tracking Device to your little one as it clips on to any item of clothing but won't get in the way of their activities and movements. It also comes with two other types of attachments for strollers and even a magnetic strap. This product was built to last as it is water and drool-proof and handle anything your baby does. The pacifier-sized tracking device is the simplest way to keep track of baby talk. With a 4-day battery life, this device allows you to worry about one less thing when it comes to your baby. It doesn't matter what language you speak! The Versame Starling Tracking Device has been tested with languages from all over the world. It's easy to connect with your iPhone and keep track of the results anywhere, anytime. Made with medical grade plastic, the material is ideal for sensitive skin. Unfortunately, the USA Versame Starling online store does not currently offer international shipping. However, Big Apple Buddy, your personal shopper, can help you buy products direct from the official USA Versame Starling online store and ship them to your doorstep, no matter where you are in the world. We offer international shipping to over 110 countries including Australia, Austria, Azerbaijan, Bahrain, Belgium, British Virgin Islands, Brunei, Bulgaria, Canada, Chile, Costa Rica, Croatia, Czech Republic, Denmark, Estonia, Fiji, Finland, France, French Polynesia, Germany, Gibraltar, Greece, Greenland, Hong Kong, Hungary, Iceland, Indonesia, Ireland, Israel, Italy, Japan, Jordan, Kuwait, Latvia, Liechtenstein, Lithuania, Luxembourg, Macau, Malaysia, Maldives, Malta, Marshall Islands, Mauritius, Monaco, the Netherlands, Netherland Antilles, New Zealand, Norway, Oman, Poland, Qatar, Romania, San Marino, Saudi Arabia, Serbia and Montenegro, Seychelles, Singapore, Slovak Republic, Slovenia, Spain, South Africa, St. Lucia, Sweden, Switzerland, Taiwan, Thailand, the UAE, the UK, Vatican City, and Vietnam. If you would like to buy from the USA Versame Starling online store, simply let us know which items you would like to order (by filling out the form below) and we’ll get back to you with a free international shipping quote within 24 hours!